Riding a bike to and from work can be more like playing a real-life game of Frogger, especially in a crowded city like New York. It even gets worse at night when all pedestrians, buses and cabs buzz past you, not caring much that you are also using the same road, and they can easily bump into you. Luckily, the car maker Volvo has come in to help improve cyclists’ safety. It has partnered with paint maker Albedo 100 to introduce a reflective spray known as Life Paint. What is this Life Paint? 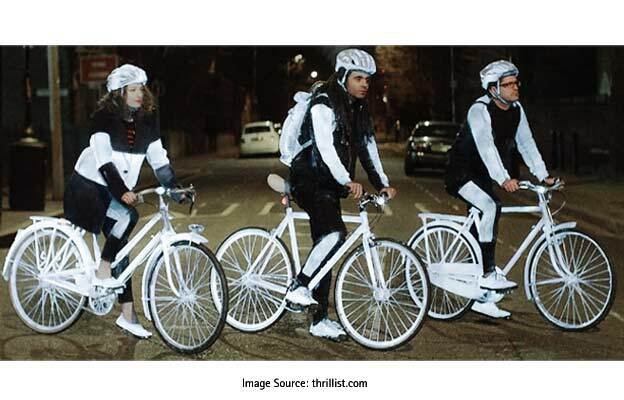 LifePaint is a paint that sticks to a bike’s helmet and clothes to make the rider more visible to everyone they share the road with. LifePaint reflects the light thrown by headlights from trucks and cars, causing whatever it was sprayed on to glow white. The best part of LifePaint is that it is completely invisible during the day. This means you can spray it on your helmet and clothes and have nothing to worry about your looks. But at night, when you need it, it starts glowing. 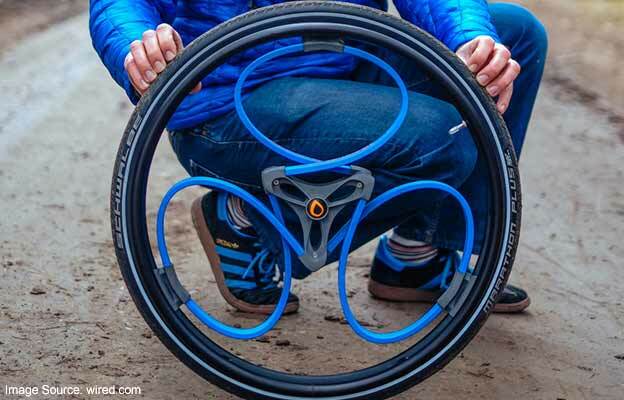 However, this spray may not provide a permanent solution to biking safety problems, though. This is because it lasts a week after it is applied and washes off. Meaning you will have to constantly spray your clothes and helmet to keep lighting up. Still you need to be very careful while cycling on the road. Because the truth is, all of the reflective paint in the world isn’t going to help you if the driver next to you isn’t paying attention. So your safety is in your hands; you can’t rely on the paint to protect you against a rogue driver. That said, Volvo is pushing Life Paint as part of its 2020 Vision campaign, seeking to ensure no one is killed or seriously hurt by a new Volvo by the year 2020. This is an incredibly ambitions goal. In a promotional video, Volvo shows the paint applied to cyclists and their bikes. However, it is unfortunate that LifePaint can’t be applied to bicycles since it doesn’t adhere to metal. Albedo 100 also makes a reflective paint for animals, as well. So if you want to bring your pooch with you while you bike, you will have nothing to worry about.